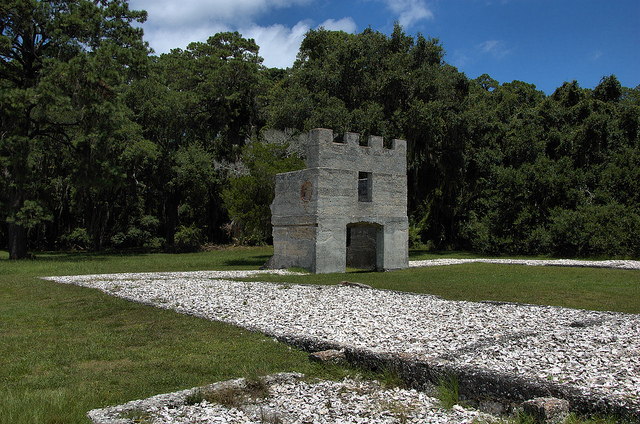 The entry tower is all that remains of the barracks, which were built to house 100 men. The building took the form of square with rooms surrounding an open parade. The walls were made of tabby one foot thick. 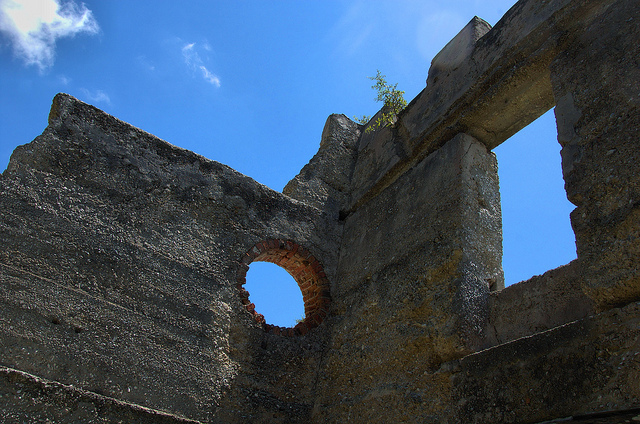 During the campaign of 1742, the barracks served as both hospital and quarters for Spanish prisoners of war. 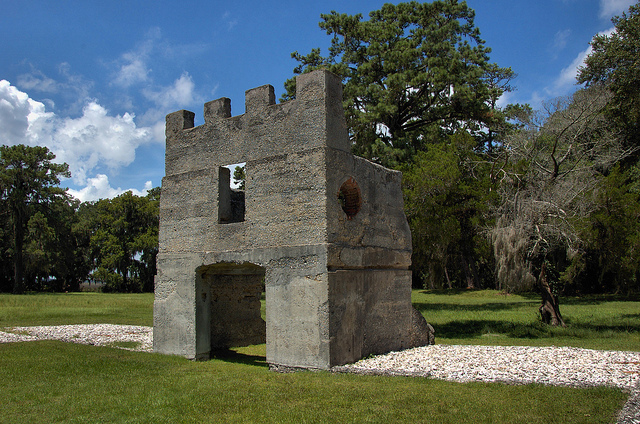 I love Fort Frederica and its history. My husband gave me my engagement ring there New Years’ Eve 1955….